AquA AnimaniA is your #1 local source for live corals for saltwater and reef aquariums of all shapes and sizes! Live corals are the most important contributors to the structure of a saltwater reef in nature as well as in reef aquariums. The appearance of some species of corals varies dramatically depending upon the environment. 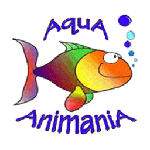 AquA AnimaniA is well known throughout Ontario for marine fish and corals! Trust AquA AnimaniA for the highest quality and healthiest live aquarium plants, saltwater marine fish and freshwater tropical fish species in the industry. We also carry a full line of pet supplies, fish supplies, aquariums, aquarium kits, aquarium filters, aquarium heaters, aquarium pumps, aquarium supplies, aquarium tanks and tons of aquarium accessories!